By limiting our scope of treatment in Sydney to Wisdom Teeth Removal ONLY, we are able to offer great fees to patients and attract experienced professionals to work with us. We have agreements with surgeons enabling us to offer wisdom teeth consultation for FREE. In case you need an X-Ray we also offer in house digital OPG. Price and Costs for Wisdom Teeth Extraction depends on the complexity of each tooth removal and time allocated to have the surgery performed. Depending on your case, surgeons performing wisdom teeth removal in our Day Surgery charge from $225 to $375 for each Wisdom Tooth Removal in Sydney. Max Price for ALL 4 $970 ! We are also able to offer fees with our anaesthetists ranging from $320 to a maximum of $375. The Specialist Anaesthetist fee has a rebate from MEDICARE of around $250 and patients end up paying as little of $100 dollars out of their pocket after the rebate. Our Day Surgery Fee starts from $300. Wisdom Teeth Day Surgery accepts most of major Health insurance plans with a HICAPS terminal and patients can have further rebates or discounts on the spot. According to the Australian Dental Association, the number of cases for wisdom teeth removal in Australia is seven times higher than in the UK. There’s an increasing awareness about dental health among Australians. If your aching wisdom tooth gives you a lot of trouble and pain, extraction is the best cure. If left without extracting, this tooth can bring you a lot of misery and infection. In fact, it can even damage surrounding teeth. However, the dilemma of some patients is the cost of wisdom teeth removal in Sydney. Good news! If the wisdom teeth removal cost in Sydney troubles you, you’ve come to the right place. Wisdom Teeth Day Surgery offers the most competitive price. We understand that the primary concern of our clients is getting affordable wisdom teeth removal in Sydney. Hence, we focus our specialisation in catering your wisdom teeth concerns and make our services affordable. Do You Need Wisdom Tooth Extraction? If the pain from your wisdom tooth is already affecting your day to day activities, then an extraction is necessary. Washington Post says that with modern equipment, extraction of a wisdom tooth is now easy and almost pain-free. At Wisdom Teeth Day Surgery, you can sit back and relax as our competent surgeons take care of your teeth. With state of the art tools and years of experience, they can get rid of your pain in minutes. An extraction might still be needed even if you can bear the pain, and follow the tips while they are erupting. An aching wisdom tooth may cause various complications such as gum diseases, awkward tooth position and decay. Also, your teeth might still be at risk even if you don’t feel any pain at all. Thus, it’s important to book a consultation with our dental professionals. They are more than qualified to assess your condition and make recommendations about your situation. For your convenience, you can avail of cheap wisdom teeth removal in Sydney by booking online. On this website, you can set an appointment for a general consultation for as low as $55. However, do note that not all consults would merit a tooth extraction. Similarly, if a single wisdom tooth is problematic, it’s not necessary to remove all four of them. Every case we handle on a daily basis is unique. Hence, our resident surgeons will assess your condition and will make a necessary recommendation. You will know the final quote right after the consultation. If you want a cheap wisdom tooth extraction service, you’re on the right site. At Wisdom Teeth Day Surgery, we are committed to giving you the most comprehensive services at a handy price. Make your online booking today and get rid of the pain right away. Also referred as the “third molars”, wisdom teeth are the last to erupt usually between the ages of 17 and 21 when there is only a little room is left in the mouth. As important as other teeth, these wisdom teeth are more prone to various dental problems during their eruption process as they emerge breaking through the gum tissue. Most of the times, wisdom teeth may erupt sideways or become trapped which results in teeth pain, bacterial infection, bleeding, facial and jaw bone swelling. The cost of dental care in Australia is considered to be extremely high, and most of the Australians cannot afford basic dental care. But, today many dentists offer affordable wisdom teeth removal in Sydney to make it available for patients who are in the point of avoiding the dentist altogether. At Wisdom Teeth Day Surgery, we limit our scope of treatment in Sydney only to wisdom teeth removal at an affordable cost. Our surgeons offer wisdom teeth consultation for FREE. Our professionals fix the cost of wisdom teeth removal in Sydney depending on the complexity of the case and the time allocated to perform the surgery. Our day surgery wisdom teeth removal cost in Sydney ranges from $225 to $375 and also offer in house digital OPG. The specialist anaesthetist fee for wisdom teeth removal Sydney cost ranges from a minimum of $320 to a maximum of $375. This fee has a rebate of $250 from Medicare hence, our patients end up paying only $100 as the specialist anaesthetist fee out of their pocket after the rebate. To make a consultation with our wisdom teeth specialist and cheap wisdom teeth removal in Sydney, call 1300 260 677 now!!! How Do I Pay Wisdom Teeth Removal Cost In Sydney? We accept cash, checks, and major credit cards, as well as file insurance for you and maximize your benefits. We have an in office discount plan that entails a yearly fee and the patient receives two free cleanings, yearly x-rays, and more. We offer a monthly payment plan through care credit financing and also offer a cash discount when fees exceed a certain amount. 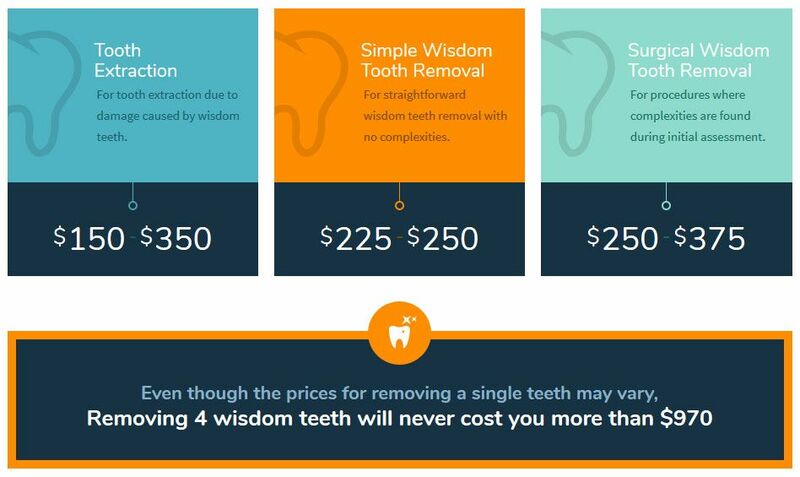 How Much Do Your Services, Like Wisdom Teeth Removal Cost in Sydney? 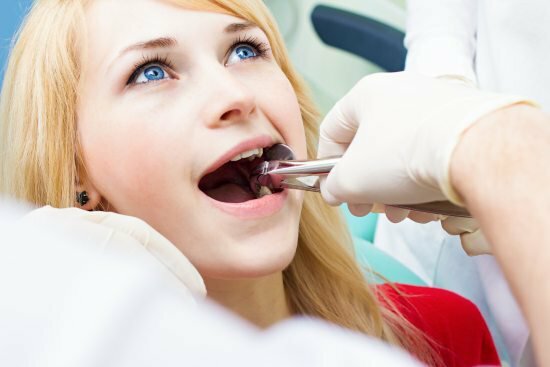 At Wisdom Teeth Day Surgery, patient we create treatment plans to the specifics of each patient’s exact medical needs and because those needs vary, it can be difficult to quote an exact price for any of our services before a thorough examination is given. So it’s better to book your initial consultation with us! Do I Need A Referral From My Dentist Prior To My Wisdom Teeth Removal Consultation At Your Clinics In Sydney? No. There is no need to have a referral for your first consultation. We offer a great facility for experienced dental surgeons and oral surgeons to perform wisdom teeth extractions with affordable pre-established fees for wisdom teeth removal cost in Sydney. How Can I Find A Cheapest Cost Wisdom Teeth Removal Sydney Service? The cost of wisdom teeth removal in Sydney depends upon a number of factors that can be discussed in detail with a surgeon. Book your consultation now! All bookings for initial $55 consultation can be easily made 24/7 ONLINE ONLY. Consultation takes around 30 minutes.